Food Safety Supervisors aim to prevent individuals from becoming ill as a result of food poisoning. According to the Australian Health Department, approximately 5.4 Australians suffer from food-related illnesses annually from products contaminated with bacteria or viruses. Considering Australia has one of the safest food supplies worldwide, this number is staggering. It is the working relationship between food manufacturers, food handlers, government regulators and quality training programs that Australia can boast a safe food supply but regardless of strong efforts, the need for continuous safety training is ever present.Individuals must be knowledgeable in the proper methods to treat and handle food because a lack of proper information can result in sickness or death. So how does one limit the number food contamination that results in sickness? Food Safety Supervisors. is trained to determine and prevent food handling risks at your premises. has earned a Statement of Attainment that shows they are capable and qualified to fulfill required food safety competencies from Registered Training Organisations such as AlertForce. has the knowledge, capability and authority to supervise other workers in the correct handling of food at the premises, thus ensuring safe food handling. When choosing a food safety supervisor one must be advised to do so carefully. A food safety supervisor can be the owner, an employee or an external person to the establishment. They must however, be able to meet the food safety supervisor requirements under the Food Act. Requirements are clearly and concisely laid out in the job description. They have received relevant appropriate training from a reputable and approved training organisation. they are provided time in their working day to perform FSS tasks. They are capable of supervising other workers within the establishment and the staff are aware of their title/job. They are prepared and capable in the event that your business encounters any food safety issues. A FSS is not required to be present on the premises at all times but they must be aware of the food handling methods being implemented when the FSS is not present. This also applies when a person outside of the business has been assigned the FSS role. One cannot overstate the importance of food safety supervisors and more specifically, hiring a good FSS. It may not only save litigation, time and stress, but also lives. Under the regulations set forth by the NSW Food Authority, many hospitality and food retail businesses are running out of time to appoint a trained Food Safety Supervisor to their businesses. By October, 1 2011 a large number of businesses involved with the preparing and selling of food, must not only appoint a trained safety supervisor but, must notify the proper enforcement agency (usually the local council) or face fines and perhaps in some cases prosecution. How Many Food Safety Supervisors Does My Business Need? The number of food safety supervisors you need depends on your business. For example, a supermarket chain needs at least one food safety supervisor per location. While a single restaurant only needs one supervisor for the restaurant regardless of the number of shifts. 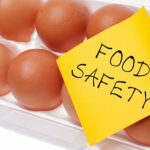 Who Is The Food Safety Supervisor? The food safety supervisor is appointed by the owner. In a small businesses the owner may appoint himself, in larger businesses it could be the manager, head cook or someone who is specifically hired for the job of being the food safety supervisor. Regardless of who the supervisor is he must have the required training for the job and the certificate to prove it. The training for the food safety supervisor is over and above the training that is require by all food handlers to take. The training must be completed through a recognize training organization and the supervisor must show the skills and competence necessary to be awarded a Food Safety supervisor certificate that is valid for 5 years after which time a refresher course is required to renew the certificate. Once a qualified food supervisor is appointed, the owner must notify the relevant enforcement agency within 7 days of the appointment giving them details of the Supervisor. The supervisor then has the authority to supervise and train all food handlers in food safety. The business must also keep the certificate on file and present it when requested during a food safety inspection. If for any reason your Food Safety Supervisor leaves your employ you must appoint a new supervisor within 30 days and notify the appropriate enforcement agency of that change. supermarkets that sell hot food. What Happens If My Business Fails To Meet The October 1, 2011 Deadline? You can fail to comply with these regulations in 4 ways. You fail to appoint a new Food Safety Supervisor within 30 days of the original or last supervisor leaving. You fail to notify the relevant agency of the food supervisor within 7 days of their appointment. Business does not notify the relevant agency within 7 days of the business becoming aware of the change in details of the food safety supervisor. Business fails to keep a copy of the FSS certificate on the premises and does not produce it when requested during inspections. These failures to comply can result in fines of up to $330 for an individual or $660 for a registered company. In addition according to the 2003 regulations serious breaches may be prosecuted as well. 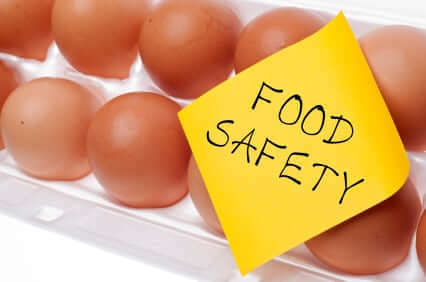 The changes in regulations and the appointment of a Food Safety Supervisor is necessary to help ensure that proper food handling and safety measures are maintained on a day to day basis. A trained food safety supervisor will need to know the safe way to handle food as it applies to all staff. The owner will still be responsible for any breaches in food safety. By ensuring that a supervisor is available to supervise, instruct and maintain the proper handling of the food it is the hope of the NSW food authority that everyone will benefit from this new regulation and provide for a safer work environment both for those handling the food and the customers who eat the food. Food Safety Policies and Procedures have become increasingly important for food businesses. Food poisoning outbreaks can have a devastating effect. Sports fans might want to just watch the game instead of eating at some sports stadiums across the country. ESPN just went through a list of food safety inspections and made some pretty gross discoveries.